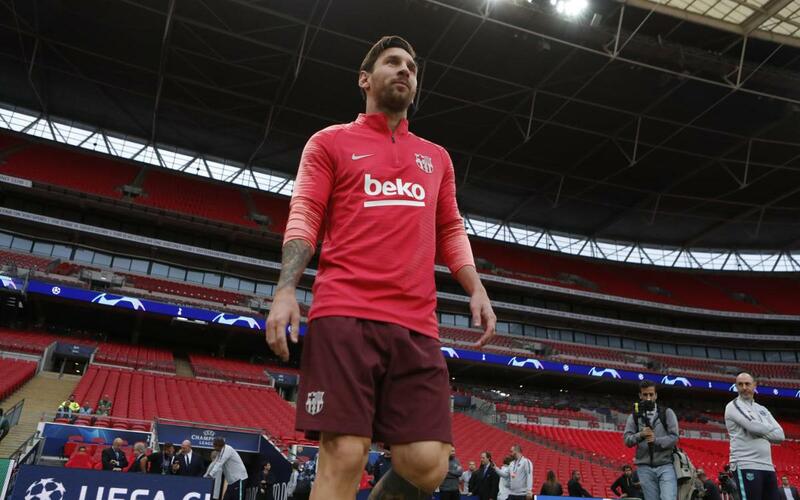 FC Barcelona have had their first contact with the Wembley pitch. The London stadium holds special memories for the Blaugrana, and on Tuesday evening Ernesto Valverde’s squad were put through their paces in readiness for the Champions League match against Tottenham Hotspur. It will be the second group stage game and is being played at the iconic venue while Mauricio Pochettino and his side wait for the new White Hart Lane stadium to be completed. All 20 players that travelled to London - 18 from the first-team as well as Miranda and Iñaki Peña from Barça B - took part in the session. The match will be played this Wednesday at 9.00pm CEST.